How can I switch to annual payment? You can quickly switch to annual payment in your account settings. That gets you two months of your first year for free. 1. 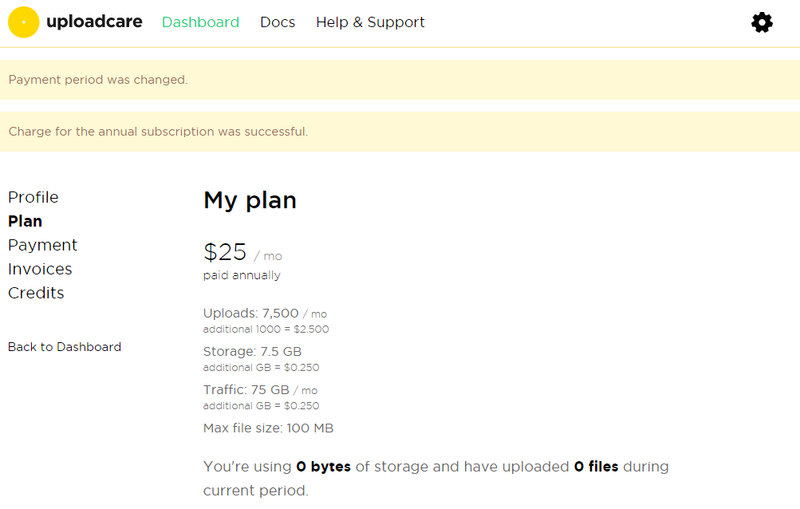 Go to your account settings and click Plan in the left menu. 2. 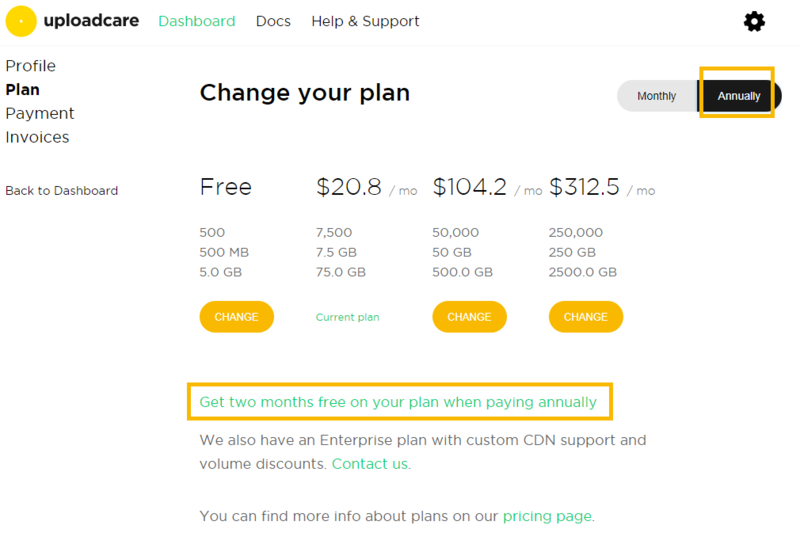 Switch your subscription type to "annually" and select a preferred plan. If you want to keep the one you got, click Get two months free on your plan when paying annually. 3. Now, you'll see the change in your plan option and the respective amount of annual charge. See, we're about to charge you for ten months instead of the full year. 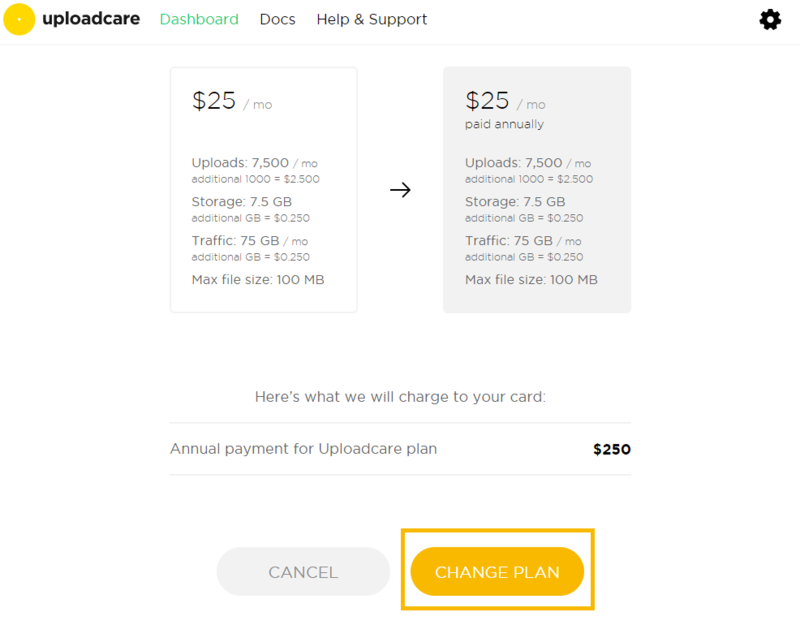 If all is correct, click the "Change plan" button. 4. After your payment is processed, you'll be redirected to your plan page so you could again check out a type of your subscription: should be annual now. Under the hood, we've just added a $300 ($25 * 12 months) credit to your account. Now, we'll be charging you an amount equal to your plan price every month. That's how you get those two free months exactly. Note that in case of overusage we can charge you extra according to your plan price, which can lead to you spending your credit in less than a year.